Usually when I get an email from a TMZ employee, I cringe in advance of the news. 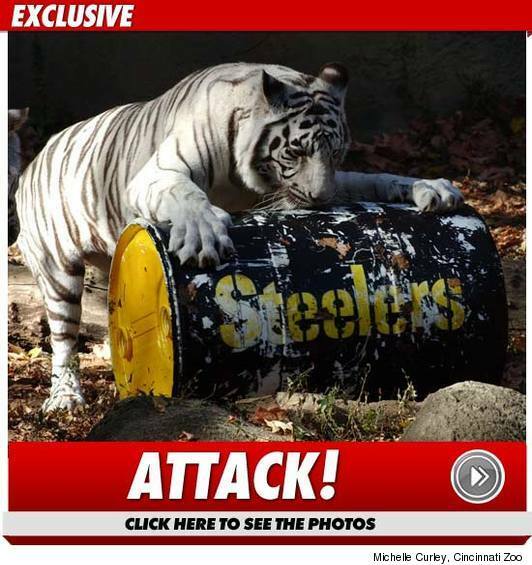 Which Steeler got arrested? Who got accused? Who's in the unfortunate picture? 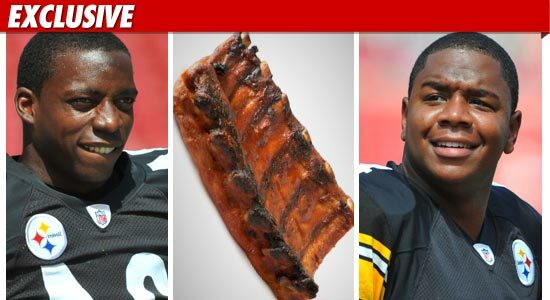 Luckily, this one wasn't so bad: several Steelers, including Byron Leftwich, Rashard Mendenhall, and Casey Hampton took down some ribs at the Montgomery Inn in Cincinnati this afternoon, and left a whopping 80% tip. Considering the source, I've never been more relieved to hear about an uneventful pre-game meal in my life. "We're told the three NFLers threw back a rack of the restaurant's famous barbecued choice pork loin back ribs ... one order of the pork chops and one pulled pork sandwich." Evidently, they forgot to mention what Mendenhall and Leftwich ordered.